Did you know that an amazing lake front lifestyle awaits you in Polk County, Central Florida? Welcome to Water Ridge, a beautifully kept, amenity rich, gated community, located between Lake Alfred and Lake Van, just minutes south of I-4 between Orlando and Tampa, Florida. - Two amenity centers. 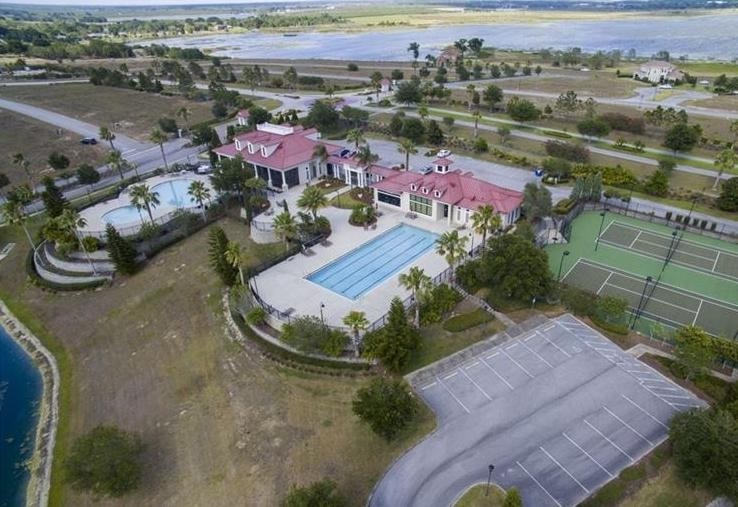 The large clubhouse includes 2 pools, 2 tennis courts, a sauna, fitness center and more. The small clubhouse has a screened and covered lanai, bathroom facilities, pool, tennis courts and a gazebo next to a play area. - Easy access to I-4 and the Hwy 570 / Polk Parkway. If you work in Orlando, Tampa, Lakeland, or in between, it is very easy to get back and forth from your home in Water Ridge to your work and play locations. - The community has very high standards and that means that your property value will be protected as new custom homes are designed and built within the neighborhood over time. - When you come to Water Ridge you will immediately sense the peace, quiet and tranquility of the surroundings. It is extremely relaxing here. This gorgeous community has been around for over 10 years. Many home sites were sold at top dollar in the real estate "boom", then the real estate "bust" happened. When you come buy a home site today, you will pay a fraction of the original cost. One Focus Homes customer has already experienced appreciation in their new home and the moving trucks just left about a week ago (July 2017)! Search building lot listings now here http://www.focusrealty.info/map/areas/258769/. Focus Realty Group, KW Lakeland, also has access to home sites that are not listed on MLS. For a private discussion about those exclusive opportunities call or text me, Jared Weggeland, at 863-640-2246 today, or contact us online today. And always remember, when you would like to list and sell, then build or buy, contact Jared, he's your guy!